On February 8, 2017, the DGCCRF (French General Directorate for Competition Policy, Consumer Affairs, and Fraud Control), published the results of their latest campaign of controls on cosmetics. Investigators inspected claims, manufacturing practices, and baby and children products. What was the result? One out of five controls revealed an anomaly, and the breaches observed led the DGCCRF to increase the number of corrective and repressive actions. 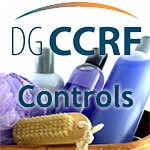 The DGCCRF investigators controlled all categories of cosmetic products placed on the French market. 1,674 visits were carried out on 1,332 sites (including 40% of retail distributors) and 5,600 products were controlled (including 23% bath and shower products). The controls were performed with the Responsible Persons charged of placing the cosmetic products on the market (they are the ones who hold the Product Information File or PIF). The anomalies found concern, in descending order of frequency, the labels (25%), the PIF (absent or incomplete, 22%), the absence of any notification on the CPNP portal, the claims, and the breaches related to the safety assessment. The controls show that many manufacturers use subcontractors to make the products, set up the PIF, or assess product safety, without any legal contract. As a result, sometimes the Responsible Person did not have the PIF available, which is breach of Cosmetics Regulation 1223/2009.